What Is a “Habitual Traffic Offender” Under Florida Law? Traffic violations are not the type of offenses we often think of as serious crimes. But too many traffic violations can be a major problem. 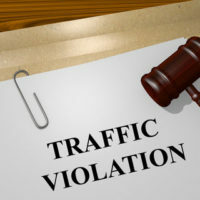 For example, under Florida law a person can be charged as a “habitual traffic offender”–a third-degree felony–if they have at least 15 convictions for “moving traffic offenses for which points may be assessed” over a period of five years. This includes any traffic violations that occur outside of Florida within the same five-year period. You can also be tried and convicted as a habitual traffic offender if you have at least three convictions for certain specified offenses, such as driving with a suspended or revoked license and using a motor vehicle to commit another felony. The Florida Supreme Court recently addressed an interesting question arising from the habitual traffic offender law. As mentioned above, the law defines driving with a “suspended, revoked, canceled, or disqualified” license as a predicate offense. But what if the accused never had a license to begin with? In this case, a Miami-area man was charged as a habitual traffic offender. He moved to reduce the charge to “driving without a valid driver’s license,” which is only a misdemeanor, based on the fact “he had never possessed a Florida driver license and therefore could not be convicted” as a habitual traffic offender. The trial judge granted the defendant’s motion. The State of Florida appealed twice, first to the Third District Court of Appeal and then to the Florida Supreme Court. Both courts agreed with the trial judge and the defendant. The Supreme Court took up the case primarily because the Third District’s interpretation of the law conflicted with three of the state’s four other intermediate appeals courts. For instance, in 2000 the Second District Court of Appeal in Lakeland held that the terms of “driving privilege” and “driver’s license” are interchangeable in Florida law, and it was possible to revoke a “privilege” even when no prior license existed. But in the present case, the Florida Supreme Court deemed that interpretation nonsensical. In a 5-2 ruling, the Court said the “plain language” of the habitual traffic offender statute unambiguously requires the revocation of a license, and “[t]he State cannot revoke a license that never existed.” Nor does “driver’s license” mean the same thing as “driving privilege,” as the latter refers to people who “may lawfully operate vehicles on Florida’s roads,” such as individuals with valid licenses issued by other states or the federal government. If you are charged with any traffic-related crime, whether it is a simple moving violation or a DUI, you need to take the matter seriously. Even a misdemeanor conviction can lead to the suspension of your driver’s license or possible jail time. That is why you need to work with a qualified Miami traffic crimes defense attorney who understands the law and will stand up for your rights in court. Contact the Law Offices of Julia Kefalinos at 305-676-9545 if you need to speak with an attorney right away.